Hello everyone, today I am going to share with you the most powerful managed WordPress hosting service by the kinsta. Kinsta is renowned as the high-end WordPress managed hosting provider which takes care of all your needs required for your website performance. It provides services based on the cutting edge technology and good support as well. Kinsta is the best WordPress hosting for everyone, small and even large websites also. For the new blogs or entry-level blogs, this kinsta managed WordPress hosting is perfect to enjoy with outstanding excellence. Here I want to clear you guys a few points why need to choose the best WordPress hosting for your blogs. Blogging is nothing but exposing your idea for work, it completely depends on the owner of the blog. He needs to manage the blog as the whole task. It might be somewhat tedious because blogging is not only about writing but also include several factors such as SEO maintenance, Optimizing the WordPress blogs, securing the blog from hackers, updating and promoting the blog, digital marketing and many more things to be done to make your blogging career successful. Though it is side business once you started getting income from it you need to treat it as the real business and go ahead to achieve your target. In order to make popularize your blog you need to set up with the best WordPress hosting, I prefer and recommend kinsta managed WordPress hosting. Initially, I was using the siteground for my business but later shifted to kinsta because I get lesser traffic and they charge very high. I am in need of more traffic to generate more income and leads as well, then I started searching for the best WordPress hosting with attractive features and benefits. I found the kinsta managed WordPress hosting. It also provides free hosting migration services as well. READ What is Reselling Hosting & How it Works? They provided strong support and also took care of everything from moving the site to test the website load time speed. With Kinsta managed WordPress hosting everything can be simplified and it reduces your money and time. Instead of going for specific plans separately, it provides all the services in one package itself at a reasonable price. MyKinsta is a powerful and multipurpose platform which acts as the gateway to your site management. 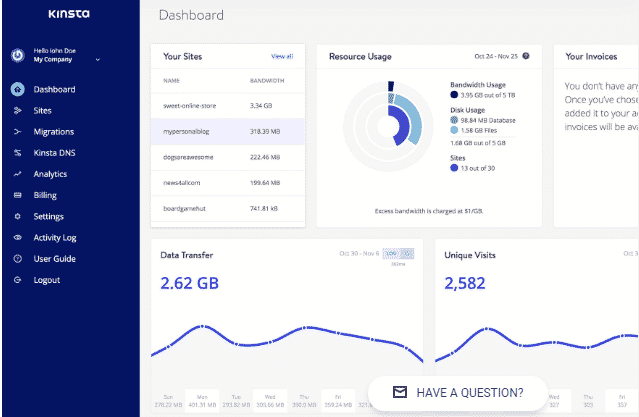 From the MyKinsta dashboard, you can view the detailed statistics, manage the DNS settings, manage the site tools, manage billing details and many more things to do. 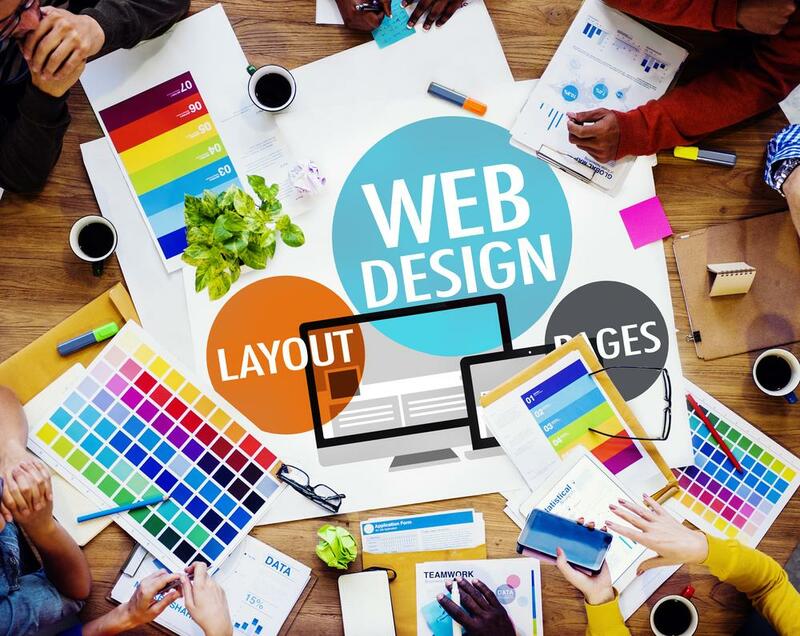 It is the control center for your websites where you can track all the details from one single location. It also shows the wide range of analytics form the website resources to architectural performances. You can manage users with the granular access rights and also the powerful WordPress hosting tool. Kinsta Managed WordPress hosting uses the technologies like Nginx, PHP 7, LDX containers and Mariadb to make sure your website loads very fast in fraction of second or a blink of an eye. It helps in featuring complete resource isolation, scalability and high availability too. With the active and passive measure it stops the attacks and malicious code from the tracks. It does continuous monitoring for u[time, DDoS attack detection, SSL support and hardware firewalls. With kinsta your website is monitored and secured with 24/7 support. With kinsta you can enjoy the best services and technology from hardware to software. It will comes up with the latest framework versions installed and up to date. READ How To Avail $47 Discount Dreamhost Promo Code . Kinsta Managed WordPress hosting is powered by Google Cloud Platform and it’s 17 global data centers. With kinsta everything is interconnected over the premium tier network and minimizes the distances so as to transfer and get fast and secure transport of data without any intervention. Kinsta does free migration of your website if you opt it. With migrate the website very securely with any lose or any downtime. By assigned the temporary domain name you can check the migrated site before going live also. 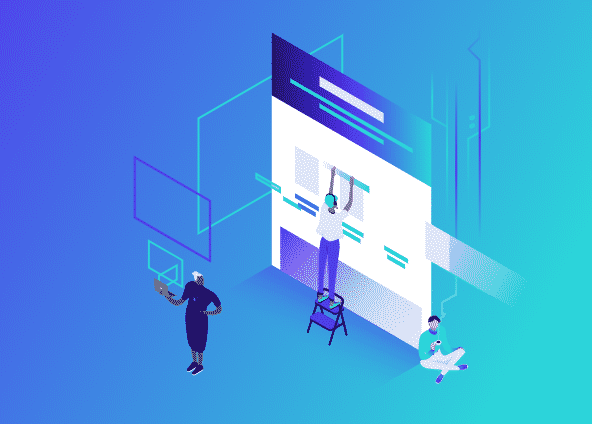 We can peacefully rely on your core business structure rather than worrying about the website as kinsta does everything for you. 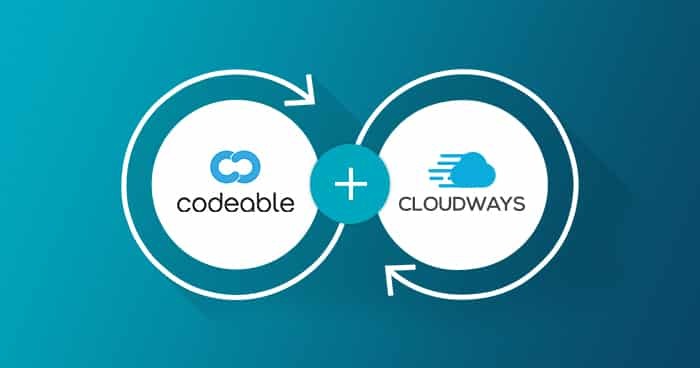 It does regular uptime checks, daily backups, automatic scaling and hack gaurnatee.You cna get support from the wordPress experts, fast solve rate, fast feedback and 24/7 monitoring etc. Kinstas platform and dashboard was very user and developer friendly with a pack of advanced features and tools for use. It provides simplified site management strategies and tools you need concentrate for the well functioning of the website. Kinsta comes up with different plans for the customers. The basic and starter plan is of 30$ a month. These plans are varied in price based on the number of visitors, disk space and WordPress installs. All these plans provide free and daily backups, free migrations and staging environments as well. It also provides 30-day money back if you are not satisfied with their services. No upgrade or downgrade penalty, no fixed term contract and 2 months free if you pay the plan fee yearly and prorated refunds. If you are using any data backup services like blogvault plugins then you can go for this kinsta hosting as you can save money. It is really worthy and effective to use the kinsta manacutting-edges hosting because there is no need to worry about the downtime and or any other technical issues. It is a cutting-edge technology backed by the knowledgeable support. Moreover, you can use the kinsta for the enterprise and Woocommerce websites also. You can increase the speed of the website by migrating to the kinsta. Also, you can get the impressive results with the dashboard of kinsta. 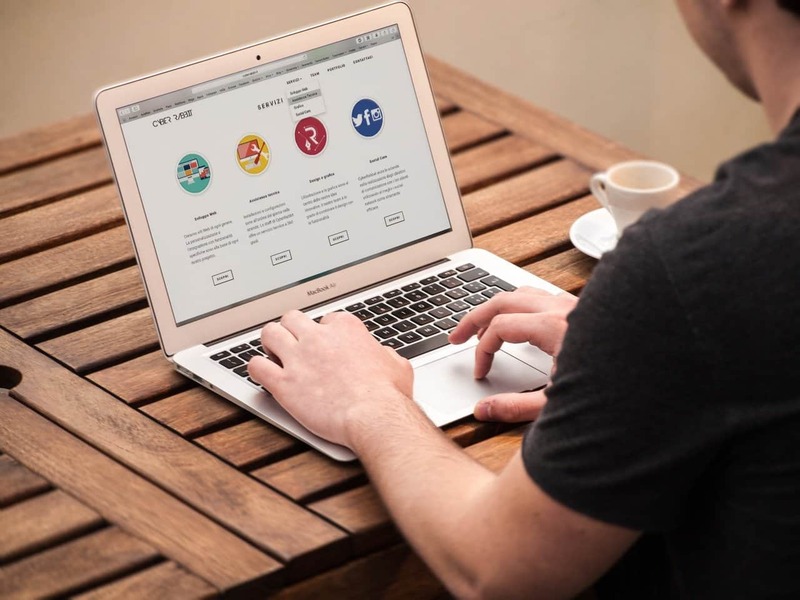 If your website is getting more online money turn your website into the real business with the best WordPress hosting kinsta.